Bradford Association Football Club was formed in 1907 and used the name of its ground, Park Avenue, to distinguish itself from Bradford City AFC and Bradford Northern RLFC. The ground was established in 1880 as the home of Bradford Rugby Club, achieving their first major success by winning the Yorkshire Cup in 1884. Joining the Northern Union following the “Great Split” of 1895, the Park Avenue club enjoyed great success as a Rugby League club, defeating Salford in 1906 to win the Northern Union Cup. In spite of this success at the “handling game” there was also a demand for Association Football, and Park Avenue played host to both sports. It is because of this common heritage that Bradford R.U.F.C. (since merged to become Bradford & Bingley R.U.F.C. 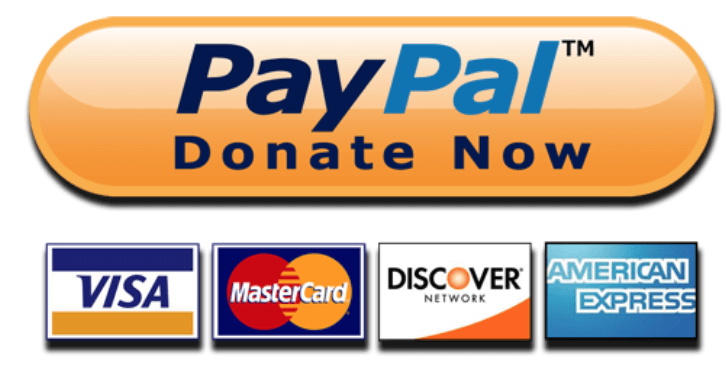 ), Bradford Northern R.L.F.C. (now the Bradford Bulls), and Bradford Park Avenue A.F.C. share the traditional colours of red, amber & black, still used by the Avenue club as their second strip. The current club colours of green & white were adopted first of all in 1911, continued throughout the club’s stay in the First Division of the Football League from 1914 until 1921, and were again used in the late 50’s and early 60’s, including Avenue’s last promotion season in the Football League in 1960/61. The first game of Association Football played at Park Avenue was an exhibition game between Blackburn Rovers and a Blackburn & District XI in September 1882. In 1895 Bradford entered the West Yorkshire League and their first ever fixture at Park Avenue was a pre-season friendly against a side from Moss Side, Manchester. Bradford ran out 4 -1 winners in front of 3,000 spectators. At the end of the 1895/96 season Bradford finished level on points with Hunslet and after a play-off title decider between the two was drawn the title was shared. Also that season Bradford defeated Featherstone 4-1 in a replay to win the Leeds Workpeople’s Hospital Cup. The following season proved to be one of the most bizarre in Bradford’s history. The newly formed West Riding FA decided to organize a new knock out competition, the West Yorkshire Cup, but decreed that no league competition would be run. This left local clubs with a mixture of cup ties and friendlies. In 1897 Bradford joined the Yorkshire League where they competed against sides from the Midland League and clubs from West Yorkshire rugby league sides. The league proved to be much tougher than the West Yorkshire League and they ended a disappointing season finishing 2nd from bottom with just 9 points from 18 games. In 1898/1899 Bradford again suffered a poor season and finished 4th from bottom with 9 points. On April 18th the Rugby Committee held a meeting and decided to discontinue the Association section at the end of the season, it being felt that the club was not in a position to continue it. This proved to be the end of Bradford’s first flirtation with the round ball game. On 31 May 1907 the club applied for membership of the Football League but were unsuccessful. Undaunted they then applied for the vacancy created in the Southern League by Fulham’s elevation into the League and having been accepted, set about creating a worthy ground. A suggested merger with City came to nothing but the renowned Glasgow architect Archibald Leitch who had been responsible for Hampden Park and other major grounds was employed. His finished work would be capable of holding 37,000. In February Tottenham announced they were quitting the league at the end of the season and Queens Park Rangers and Bradford followed. The result was a bitter battle between the clubs and the league. The AGMs of the Football League and the Southern League were the same day, 27th May. Bradford resigned from the Southern League and the other two clubs were expelled. Fortunately the Football League accepted Bradford into the Second Division while QPR withdrew at the last minute and were accepted back into the Southern set-up but made to play most of their games midweek. Spurs were rejected by the Football League and remained in limbo until mid June when Stoke had second thoughts about Division Two and resigned. Spurs then tied with Lincoln City on a ballot before gaining their place by 5 management committee votes to 3. The Park Avenue club was then reformed into a limited company and played its first Football League game at home to Hull City, winning 1-0. In 1909 the ground staged an international match between England and Ireland and it was an Irishman, Sam Burnison signed from Distillery in May 1910, who became the club’s first player to win an international cap whilst with the club. 1912-13 saw the club reach the Quarter-Final of the FA Cup and the following season they finished runners-up to Notts County to beat Arsenal on Goal Average for the second promotion place. Their first game among the nation’s elite couldn’t have been much harder with the return of champions Blackburn Rovers to Park Avenue and 25,000 saw them go down 1-2. Just under 30,000 saw the meeting of the two Bradford sides at Valley Parade and over 21,000 the return fixture which completed the season which saw them finish in a best ever position of 9th. After the war Avenue reached the FA Cup Quarter-Final again in 1919 – 20 but were relegated at the end of the next season. Worse was to follow with immediate relegation to the 3rd Division (North). They attempted to bounce straight back but were beaten into second place by Nelson. 1924-25 saw them finish as highest scorers with 84 goals including seven at Ashington. The following season they scored a club record eight against Walsall and ended as runners-up, and scored a total of 101 goals in consecutive seasons in 1925-26, 1926-27 and 1927-28. In the meantime, only six league matches were lost at Park Avenue in seven seasons from 1922-3 to 1928-9, a record unequalled in modern times. 1928 saw them promoted again as champions and it was in the 2nd Division that Albert Geldard became the youngest player at 15 years and 158 days to play in the Football League when he turned out for the club at Millwall on 16 September 1929. He left the club on 14 November 1932 to join Everton for a then club record fee of £4,000. One player the club was determined to try to keep was Jack Crayston the first professional player from Grange-over-Sands who started his career with Ulverston Town. He finally went in 1934 to Arsenal and in little over a year earned his first England cap. After injury cut short his playing career he returned to Highbury as manager. Avenue meanwhile continued as a 2nd Division side and in the summer of 1938 made a tour of Denmark but war was soon to bring an end to the league programme once again. Generally regarded as the greatest player ever to have worn an Avenue shirt was the late Len Shackleton, who started his Avenue career in the Wartime League programme in 1940, and who, up to his death, was a Vice President of the present club. “Shack” scored more goals for Avenue than any other player (171 in total) and was chosen for England inthe victory international at Hampden Park in 1946, but was transferred to Newcastle United in October of that year, scoring six goals on his Newcastle debut! Another Avenue player in the early postwar years was Ron Greenwood, later to become the England manager. 1945-46 saw the club reach the FA Cup Quarter-Final for a third time and further success came in the competition on 10 January 1948 when a crowd of 47,738 saw them win 1-0 at Highbury. The next season a huge 82,771 saw them draw 1- l with Manchester United at Maine Road in a tie which went to a second replay. 1949-50 saw them again relegated at what was to be the start of a decline into oblivion. The only bright spot was that 3rd Division football meant a return to Bradford ‘derby’ matches with an all-ticket 25,655 crowd at the game on 30 September. Another low point was reached at the end of the 1955-56 season when the club had to apply for re-election for the first time after finishing next to bottom. After that humiliation, the club colours were changed to green and white for the 1956-57 season. The directors decided (after the dreadful 55-6 campaign) that no Avenue team would again disgrace the old red amber and black colours! Having finished in the bottom half two seasons later the club became founder members of the new 4th Division for the 1958-59 season. In their third season a run of six consecutive wins in April under new player/manager Jimmy Scoular ensured promotion in 4th place. Floodlights were installed for the new season and officially opened by the Czechoslovakian world cup side on 3 October 1961. After one season in mid-table they were relegated again in 1963 despite picking up a point from a 2-2 draw at home to Bristol Rovers after which the visitors ‘keeper, Esmond Million, was alleged to have allowed them to score as part of a ‘fix’, and the arrival of Kevin Hector in the side. On 25th April 1964 Jim Fryatt scored a goal against Tranmere timed by referee Bob Simons and his linesman at four seconds, a record for the Football League. A faster goal is given to Colin Cowperthwaite at 3.55 seconds for Barrow against Kettering (December 1980), and others have been reported in non-league football. It was however to be Hector’s goalscoring which was to sustain the club over the next few seasons. When he found the net for the 100th time in Football League games aged 21 years and 156 days only Jimmy Greaves and Dixie Dean had achieved the feat at a younger age and he finished the 1965-66 season as the League’s top scorer with 44 goals. Hector left early in the 1966-67 campaign to Derby County for a £34,000 fee marking his departure with a ‘pair’ against Tranmere and the side slumped to 23rd and had to apply again to stay in the league. The next season was worse with the club finishing bottom, a position in which Avenue were to remain for two more seasons until the league lost patience and replaced them with Cambridge United. The Southern League champions collected 31 votes, the same as Newport County, while Bradford with 17 had one fewer than Northern Premier runners-up Wigan Athletic. It was to the Northern Premier League that the club turned for its future and they were accepted into membership for the 1970-71 season in a league increased from 20 to 22 clubs. With the professionals still there from the last Football League campaign hopes were high of an immediate return. The opening fixture, at Park Avenue, saw them entertain what has been described as “a very ordinary Netherfield outfit”. Ordinary or not goals from Kershaw and Wroth without reply ensured the points went home to Kendal. The death of Chairman Herbert Metcalfe on 24 October while looking for players in Glasgow threw the future of the club into doubt. His financial support had been vital and now the club had to sell to survive. Results were poor and after finishing 14th their application to the Football League for membership received only one vote in support. After a poor second non-League season 1973 saw the club finish 5th but they had to sell Park Avenue in April to a property company with Great Harwood being the final NPL opponents. Avenue then moved in to ground share at Valley Parade but five points were all they could muster from the first seventeen games of the 1973-74 season. Defeat at the hands of Thackley in the County Cup proved to be another blow and on 8 April it was announced the club would stop playing at the end of the season. The final match watched by only 698 saw the club beat Great Harwood 1-0. On 3 May 1974 the shareholders agreed to liquidate the company with debts of £57,652. The supporters then registered the name as a company and began again in the Bradford Amateur Sunday League Division Four playing in the old kit of the former club. After playing at Bingley Road and Hope Avenue in 1974 the club moved to Avenue Road and won promotion for the first time in 1975. The next season saw promotion again and in 1985 came promotion into the newly formed Bradford Sunday Alliance League. In 1987 the club returned to play a fixture at Park Avenue and in 1988, whilst the “Sunday Side” continued, the “old club” was reformed, largely as result of the initiative of present Deputy Chairman Bob Robinson, and joined the West Riding County Amateur League. Both clubs were in business at the same time for a short while before the Sunday club disbanded and threw in its lot with the re-formed club. The following season Avenue were admitted into the Supreme Division of the Central Midlands League and after one season into the North West Counties League. Unfortunately during this time, the club had to move out of Bradford in order to find facilities that would gain the approval of the various competitions, and Avenue have been tenants of both Bramley and Batley Rugby League Clubs. Third place in the first season in the North West Counties League was enough to get them promotion to the top flight where they had mixed fortunes for three seasons. The 1994-95 season saw Avenue create an upset when, 20 points adrift of Clitheroe with just 13 matches remaining, they won the lot and took the title by four points. The UniBond League refused the club entry at its AGM but an appeal to the FA was successful, and the first few seasons back in the Northern Premier League (now the Unibond League) were ones of consolidation. After three seasons ground-sharing at Batley Rugby League Club the club now plays at the Horsfall Stadium just a mile from the old Park Avenue ground. Season 2000/2001 saw the Avenue become champions of the Unibond League Division One by 10 clear points, with the third highest points total ever achieved. With the championship also came promotion to the Premier Division of the Unibond League. Within a couple of seasons Bradford (still the preferred title of the Club for many older supporters) established themselves in the top 10 clubs in the Premier Division of the Unibond League, but a loss of home form during season 2003/4 saw them slumping towards the bottom of the division. A final place in the top 13 was vital to ensure promotion to the newly formed Conference North, but this looked highly unlikely when long-serving and greatly respected manager Trevor Storton resigned in March with the club next to bottom of the division. Carl Shutt was appointed manager in mid-March, and a run of successful results led to a climb out of the relegation positions to a place in the 8 team play-offs for the final promotion position. Seemingly against all the odds Avenue won the play-off competition to claim their place in the opening season of Conference North. Unfortunately another disappointing season in 2004/5 ended with relegation back to the Unibond League Premier Division, and Carl Shutt was replaced by Gary Brook. After a good start to the campaign Avenue struggled from October, this lead to a change in the management team when Gary Brook & Brian Crowther were replaced by Phil Sharpe & Clive Freeman in March 2006. Unfortunately the damage had already been done and Avenue were relegated to Unibond Division One. The bright spot of the season was winning the Presidents Cup beating Ilkeston 1-0 in the final. Phil Sharpe for a year then left to make way for Benny Phillips. The club looked one of the favourites to gain promotion, but a sticky spell through winter saw Bradford lose in the play-offs. Another change came at the helm in February 2008, saw Dave Cameron arrive from Rhyl. Cameron managed to change the club’s fortunes around, however, as nine victories in a row saw Avenue win the Division One North title. However Cameron resigned in November, with John Deacey taking over the manager’s position on a temporary basis. After a spell as Lee Sinnott’s assistant, Deacey was handed the manager’s role on a permanent basis for the first time in October 2009. But after finishing second in the league to local rivals Guiseley by one point, and reaching the final of the playoffs at Horsfall against Boston United and losing the match after extra time. John Deacey resigned as manager after Avenue’s heartbreak. In the 2010 season Simon Collins took charge but was quickly replaced by John Deacey who returned for his second spell in charge. During the 2010-11 season Avenue finished third but lost to FC United of Manchester in the playoff semifinal. Season 2011-2012 Avenue finished fourth but third being the true position as Northwich Victoria who finished second were expelled from the play offs. This allowed F.C. United of Manchester to gain the last playoff spot. Avenue and FC United of Manchester won both their matches for the right to play each other in the playoff final. After 90 minutes of play at Horsfall Stadium the score was still 0-0. But in the 118 minute the deadlock was broken by Avenue striker Tom Greaves, giving avenue promotion to the football conference north. The season also saw the club reach the first round of the FA Cup and the final of the West Riding County Cup, where they were narrowly beaten by Guiseley. An impressive season back at that level saw Avenue finish seventh in the league, just outside the play-off spots. As well as a another run in the FA Cup which saw Avenue face Doncaster Rovers in the first round. Bradford put up a stern fight but were beaten 3-1 by Doncaster Rovers at the Keepmoat Stadium. Cup runs were the tale of the 2013-14 season as Avenue and Kidderminster faced each other in both the FA Cup and FA Trophy, Avenue claiming victory in the latter before finishing 10th in the Conference North. 2014-15 saw Avenue seriously relegation threatened as they dropped into the bottom three on Boxing Day. An incredible number of postponements kept John Deacey’s side in the drop zone for months, but, after being taken over by Dallas based, Bradford born Gareth Roberts, some good signings and the promotion of club stalwart Martin Drury to assistant manager saw the club finish an extremely respectable 13th in the Conference North, as well as winning the West Riding County Cup. Deacey agreed to depart the club at the end of the season and Drury took charge at the age of just 29. However, 2015-16 didn’t go to plan and Drury agreed to leave the club in March with the team placed in lowly 17th, although with a number of games in hand. Darren Edmondson was immediately brought in with assistant Alex Meechan, less than a year after the pair led Barrow to the Conference North title. The pair steered the club to safety, and as Edmondson moved on to take on a lead role in the Carlisle United academy, assistant Meechan stepped up to take the role of Head Coach. 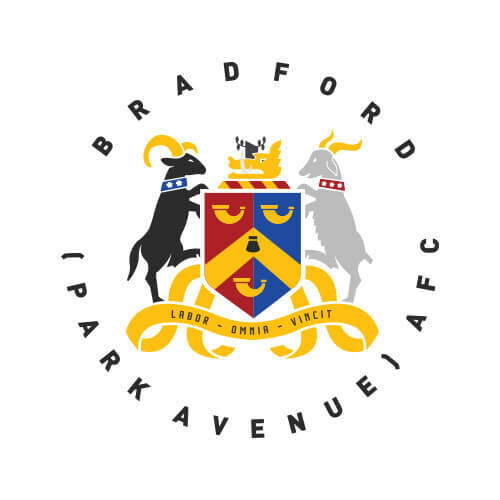 The summer of 2016 saw a number of changes at the club with the club officially ratified as a Community Benefit Society, and became Bradford Park Avenue Community Football Club. The change was heralded with a modernised club badge, and a new board of directors were elected. The club also created an academy system for the first time, setting up a partnership with nearby school, the Southfield Grange Academy. Former Avenue player and Yorkshire footballing legend Terry Dolan was appointed Director of Football to oversee the progress of the club on and off the field, as it looks to establish more links with the local community. However the first team struggled at the start of the season, and Meechan was relieved of his first team duties having failed to win any of his 12 games in charge, however he continues in his role as Academy Head Coach. Former Bradford City defender Mark Bower, who led Guiseley to National League North promotion before achieving safety in the National League the following season, was appointed the new Avenue manager in September. He led the club to an unbelievable escape as somehow he steered his side clear of relegation, with the form of a team in the play-off places. The 2017-18 season saw the team pick up the form of the end of the previous season and went on to secure 7th place and a place in the play offs following a last minute winner on the final day of the season. Unfortunately it wasn’t meant to be and the club were knocked out in the semi-final play-off game against Brackley Town. During the 2017-18 season it was also announced that the clubs academy would be moving from the current partnership with Southfield Grange Academy to an independent academy based at the Horsfall Stadium. At the end of the season current Manager Mark Bower and his Assistant Manager Danny Boshell were rewarded with a contract extension to the end of the 2020/21 season.